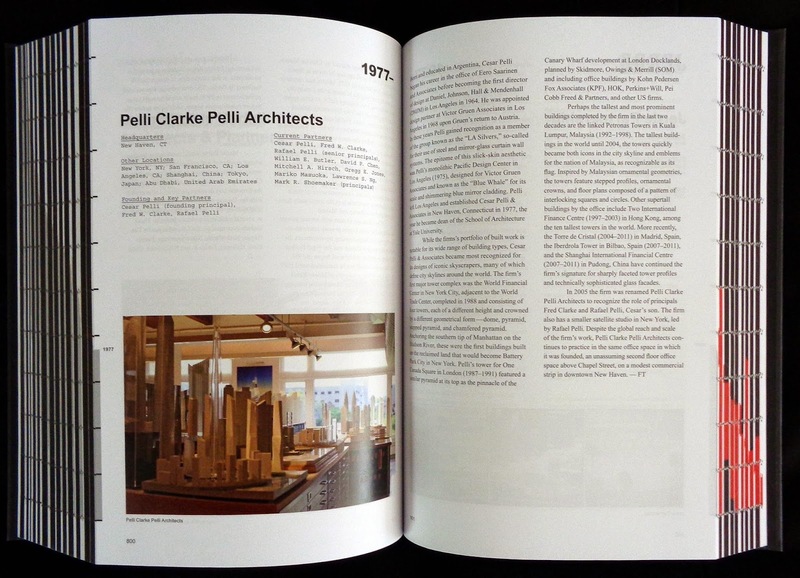 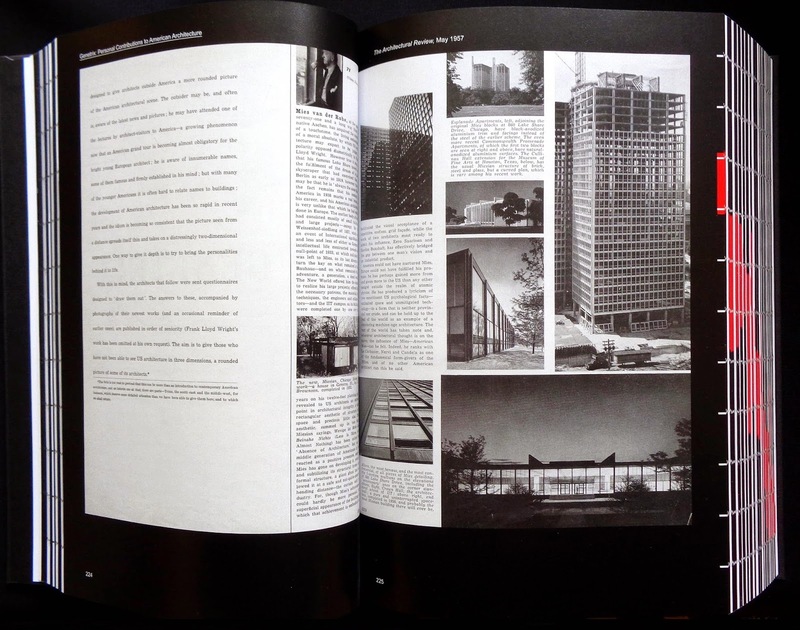 A remarkably comprehensive look at American's contribution to world architecture. 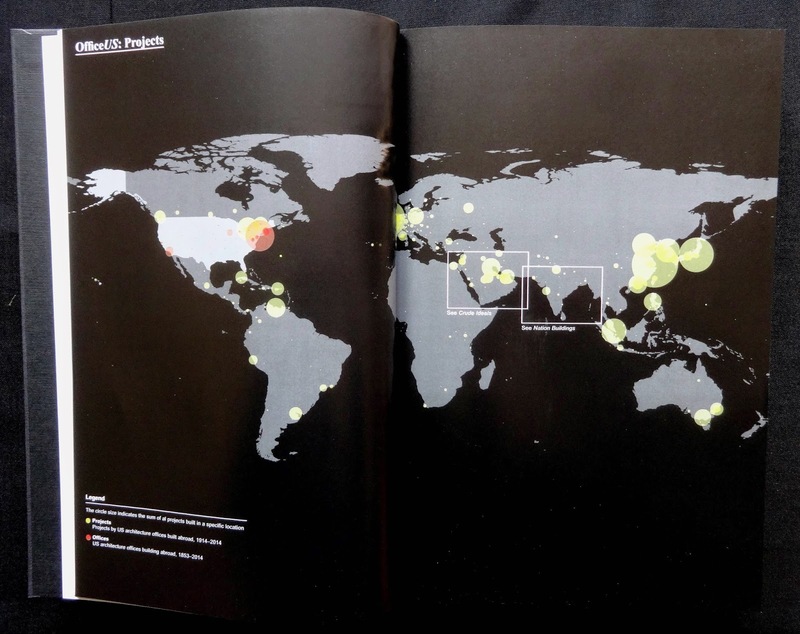 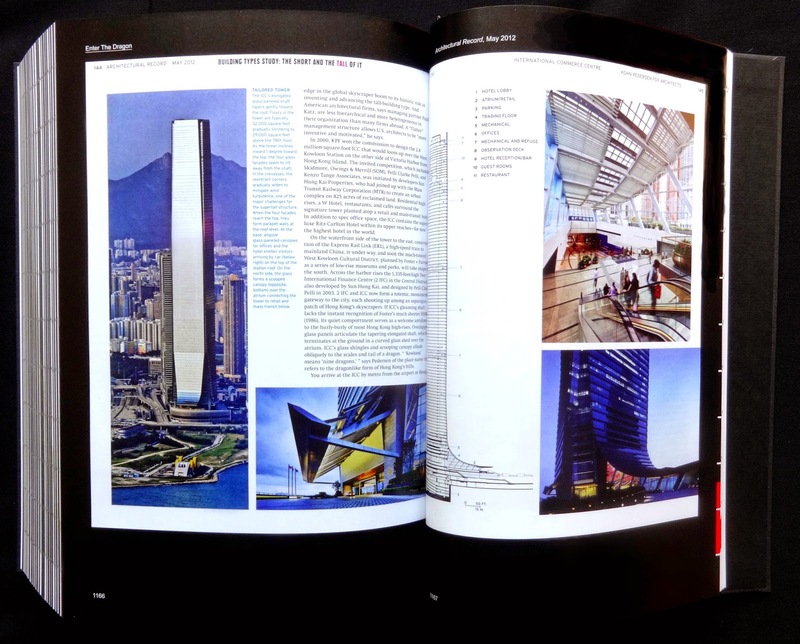 The 1232 pages, divided into twenty chapters, use articles from the leading architectural magazines to explore 169 companies (who each get a profile spread) and 675 examples of their overseas work. 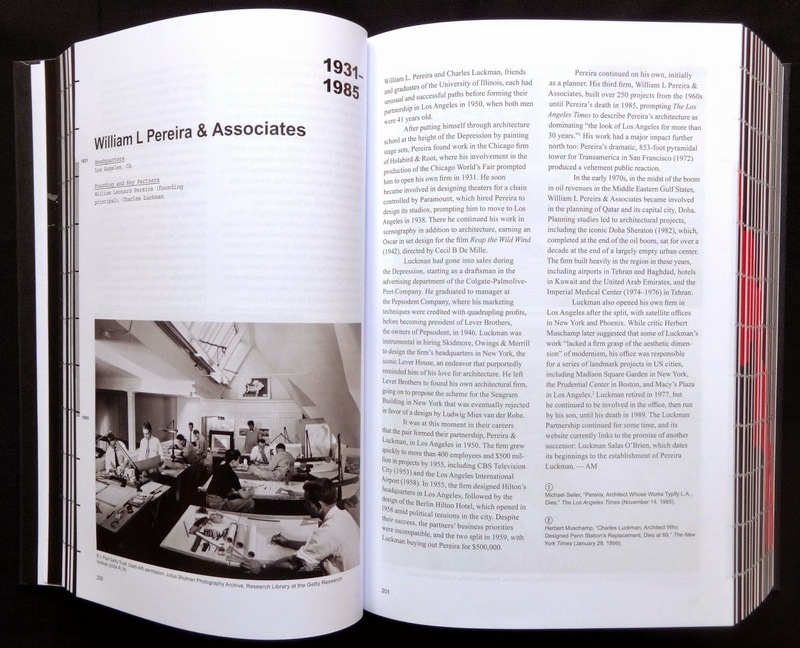 Though the book starts its historical look from 1900 it isn't until the Thirties that a large number of European architects (including Neutra, Pie, van der Rohe, Gropius, Breuer, Gruen, Sert) emigrated to the US to join existing or start their own companies, they all helped create the powerhouse of the American architectural office. 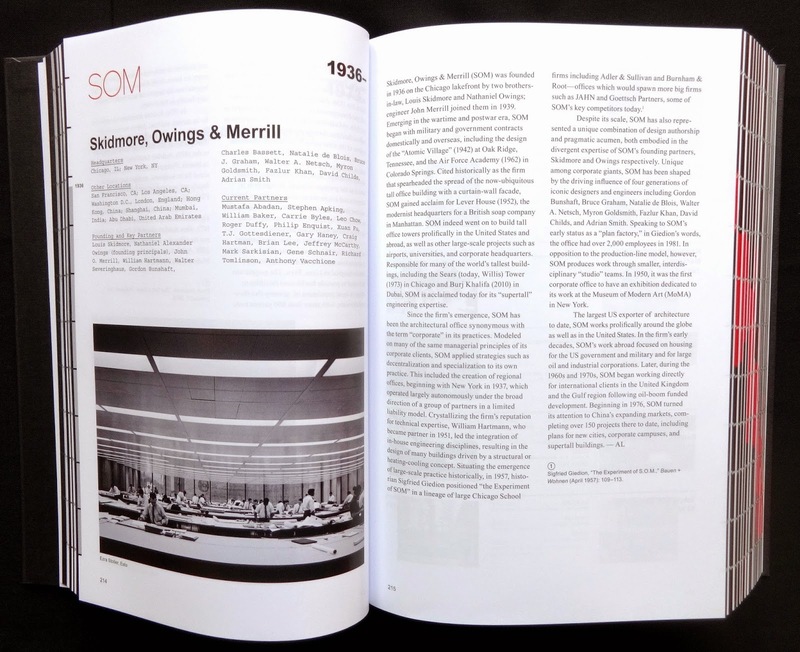 The years after 1945 provided a huge increase of overseas work with, for example, American oil companies and hotels chains expanding around the world. 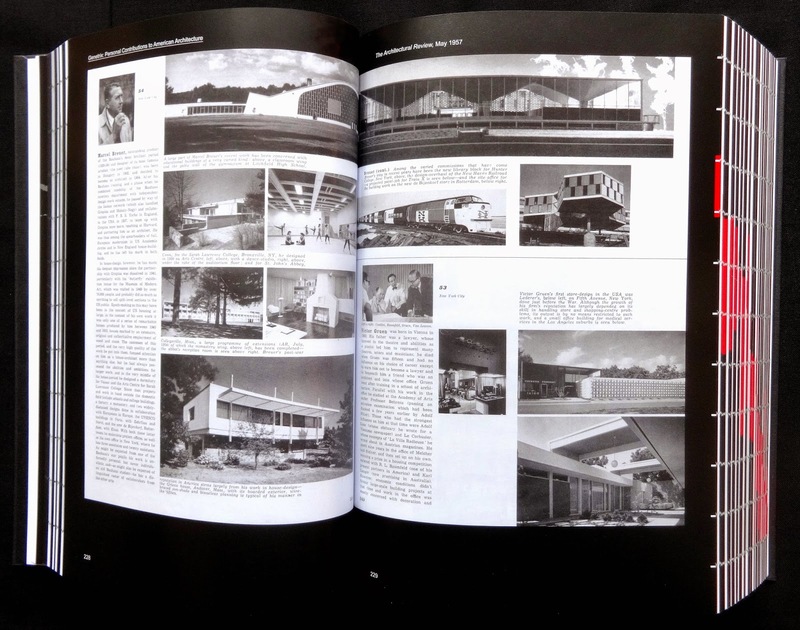 The Cold War and politics also provided plenty of creative stimulus. 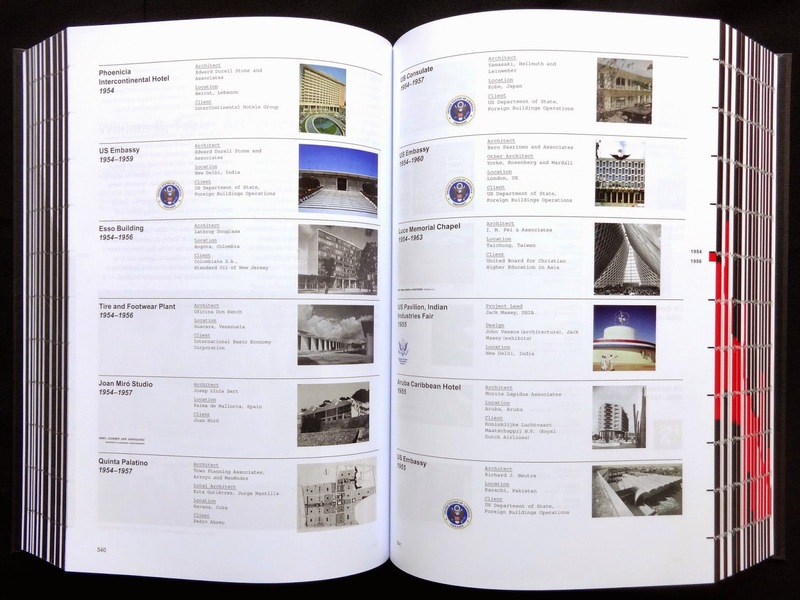 US embassies and staff accommodation required contemporary structures in dozens of countries. 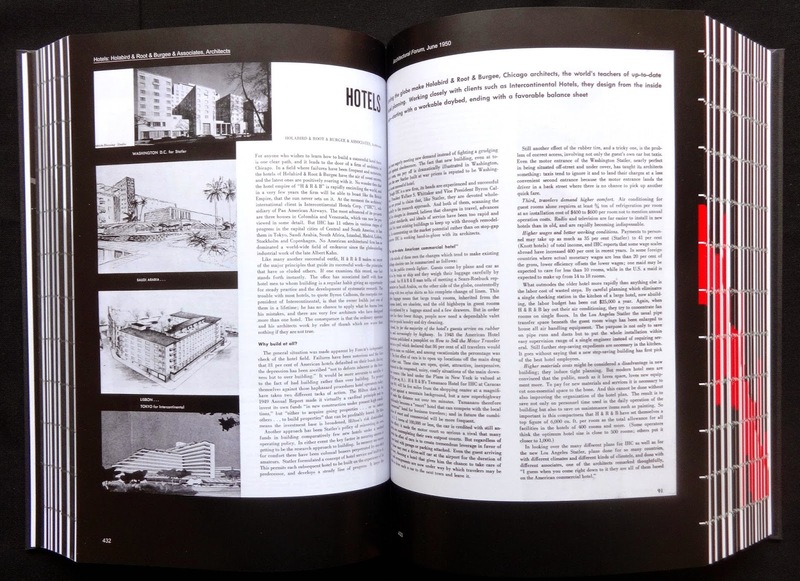 At the end of each chapter there are spreads with thumbnails of overseas buildings plus details of the architectural office who designed them. 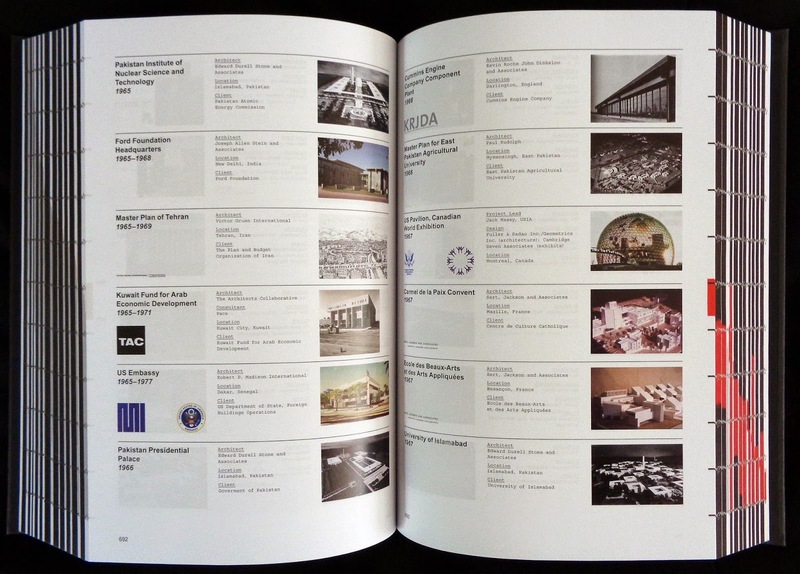 All the embassies have a logo saying: United States of America Embassy, they keep appearing right up to 2010. 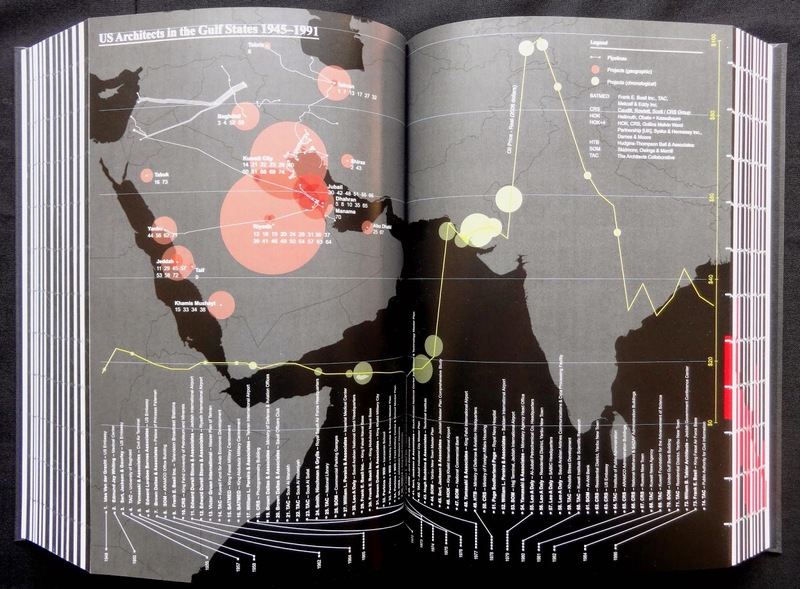 The Gulf States were another lucrative area. 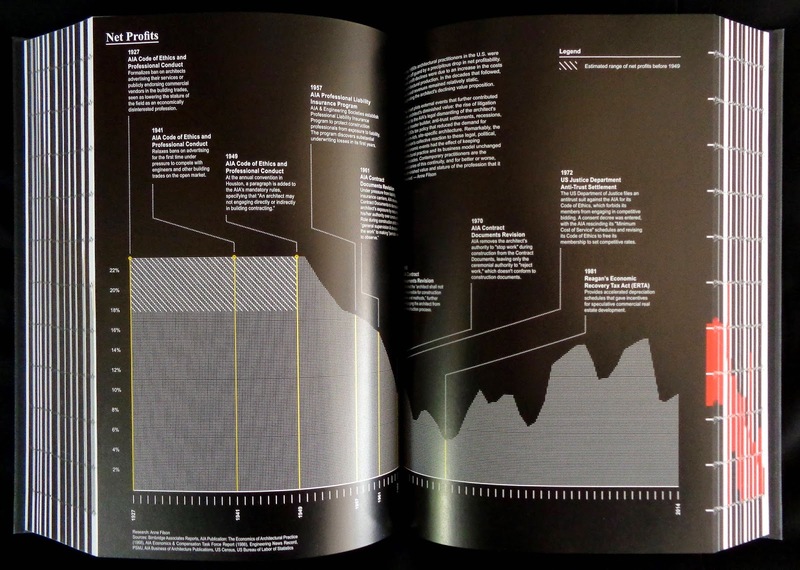 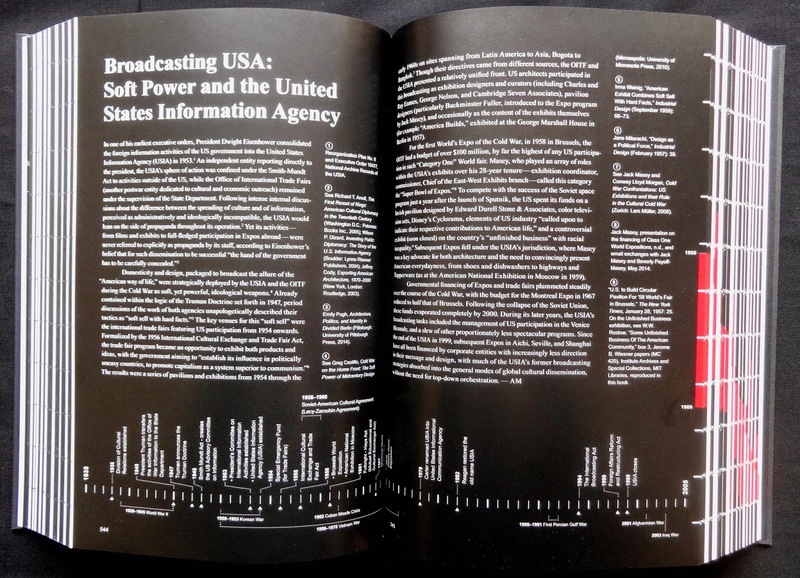 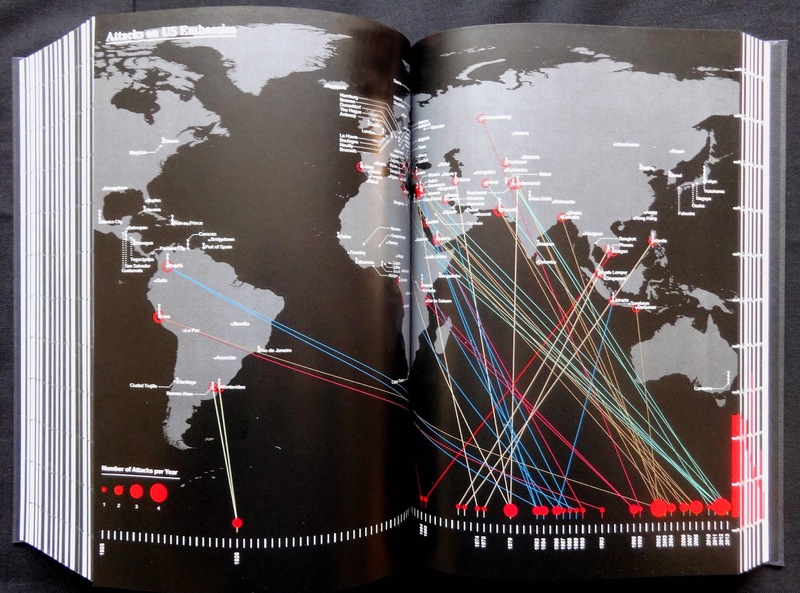 Pages 752--753 has a graphic with a map and timeline detailing seventy-four projects from 1948 to 1986. 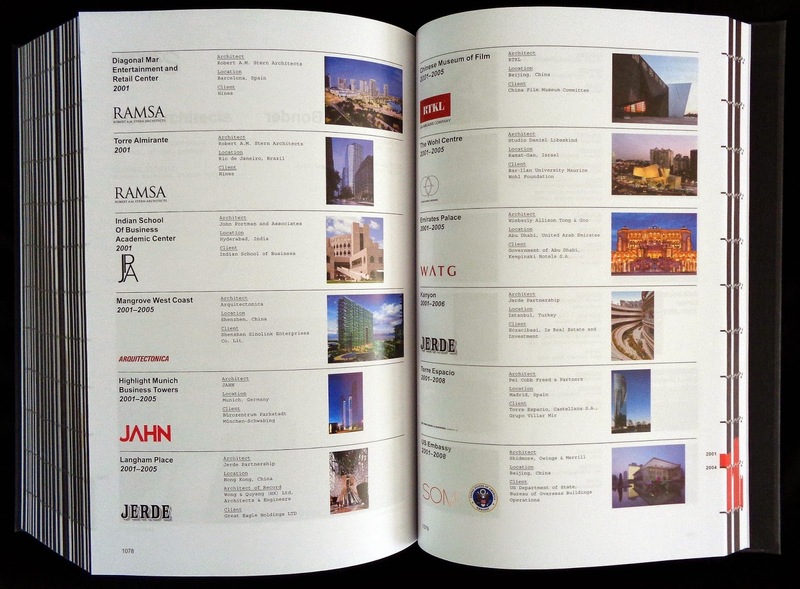 Riyadh, Kuwait City and Jubail are dotted with American designed structures. 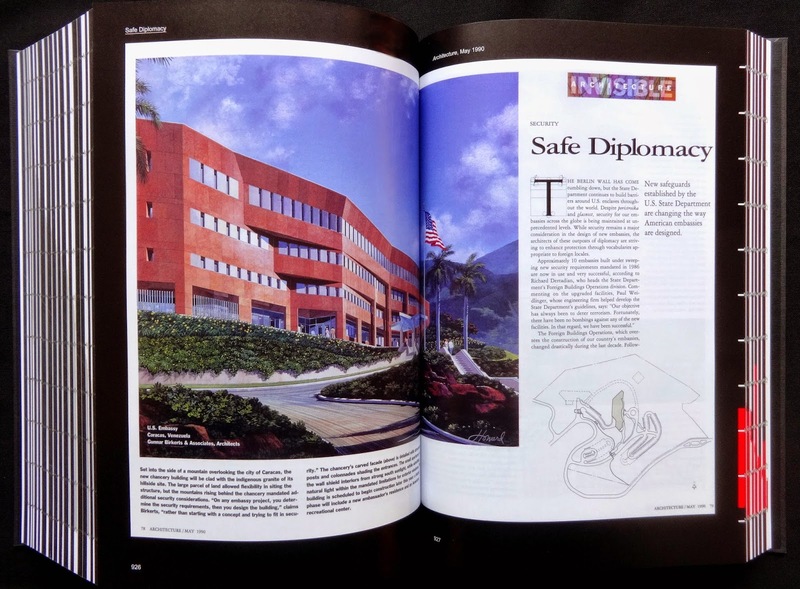 From the mid-nineties Asia and especially China, provided plenty of work not only the usual standout office buildings but museums, universities and schools, airports, stadiums, shopping plazas (the Jerde Partnership designed six) and the usual embassies and consulates. 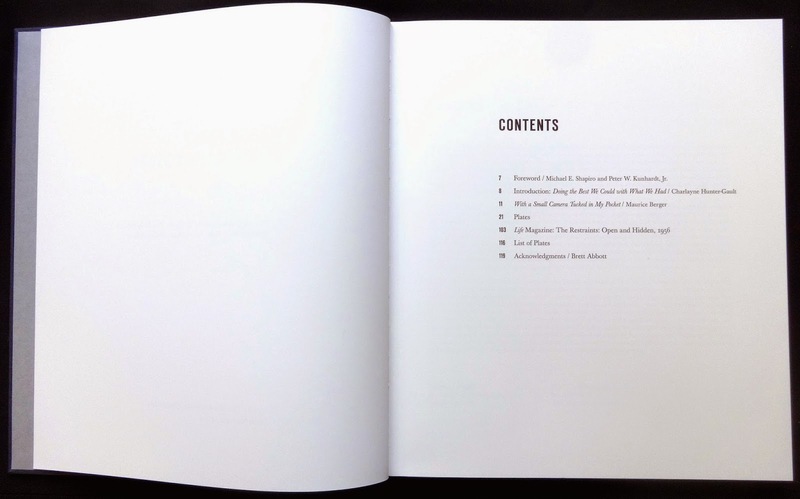 I thought the book packs in a huge amount of detail, especially the essays, on a spread at the start of each chapter, the book's four editors clearly know their subject. 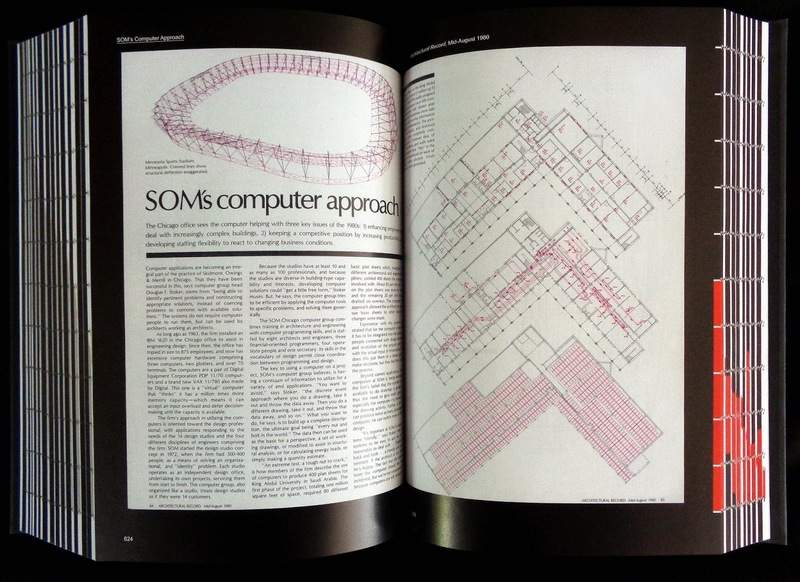 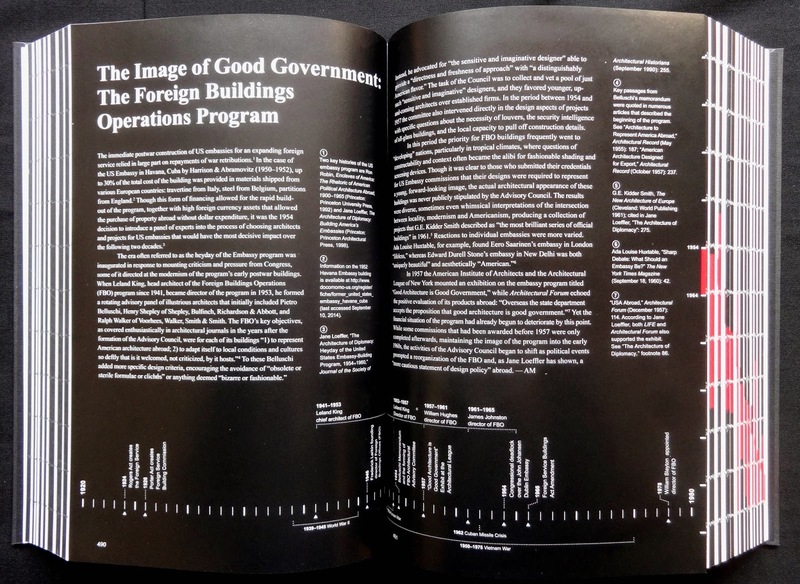 There is though one annoyance I found with the book, frequently the spreads from the architectural magazines have the columns either side of their middle unreadable because of the thickness of this book. 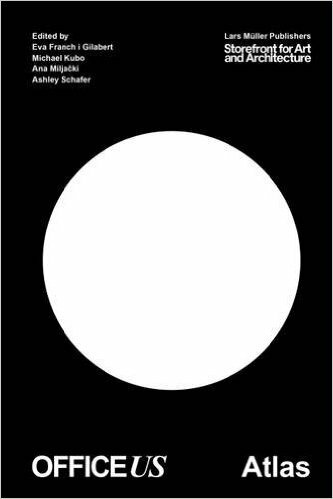 The title was designed by the international design company Pentagram and they really should have known better. 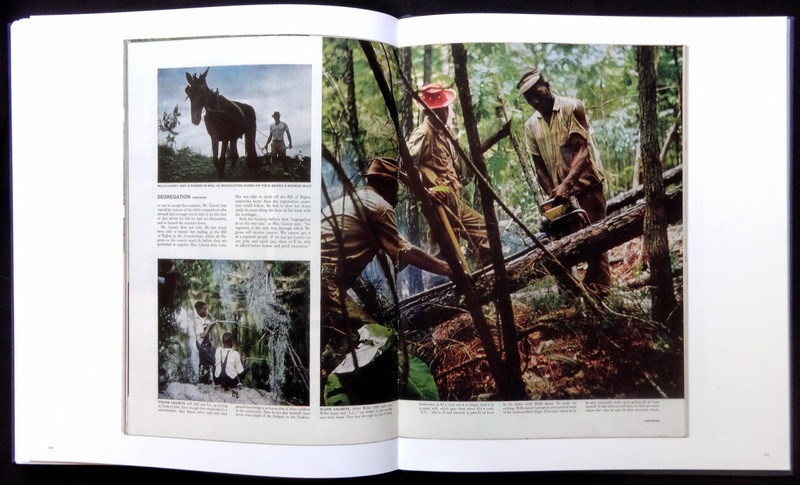 The easy solution would be to slightly separate the reproduced magazine spreads so that they don't go into the books spine. 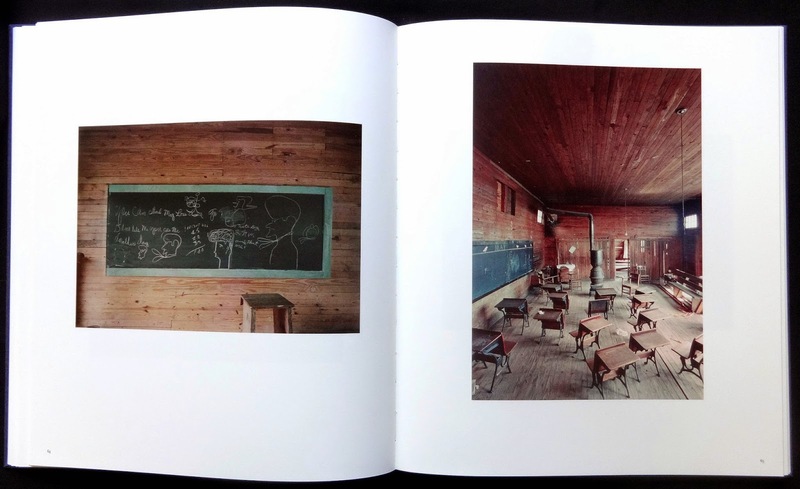 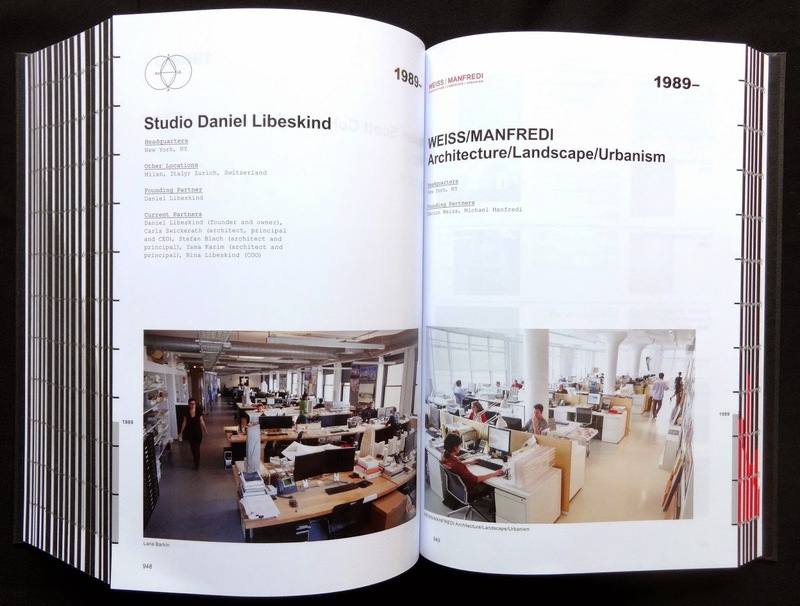 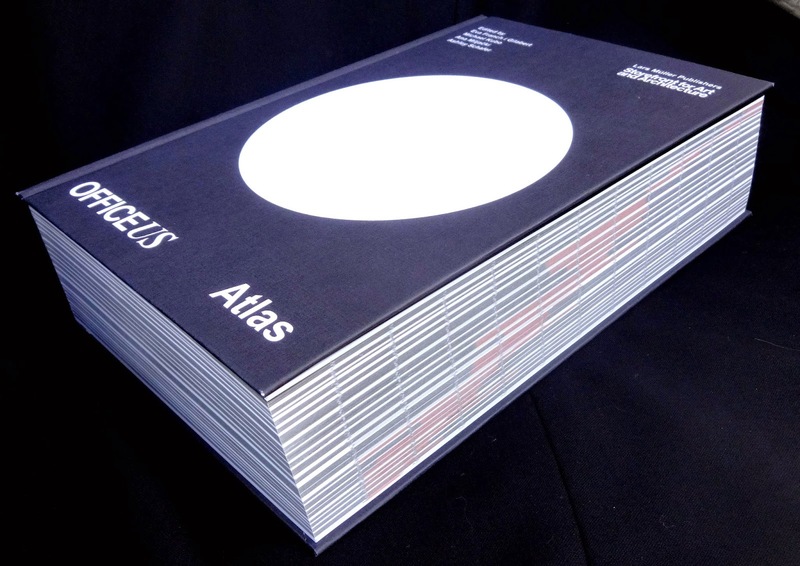 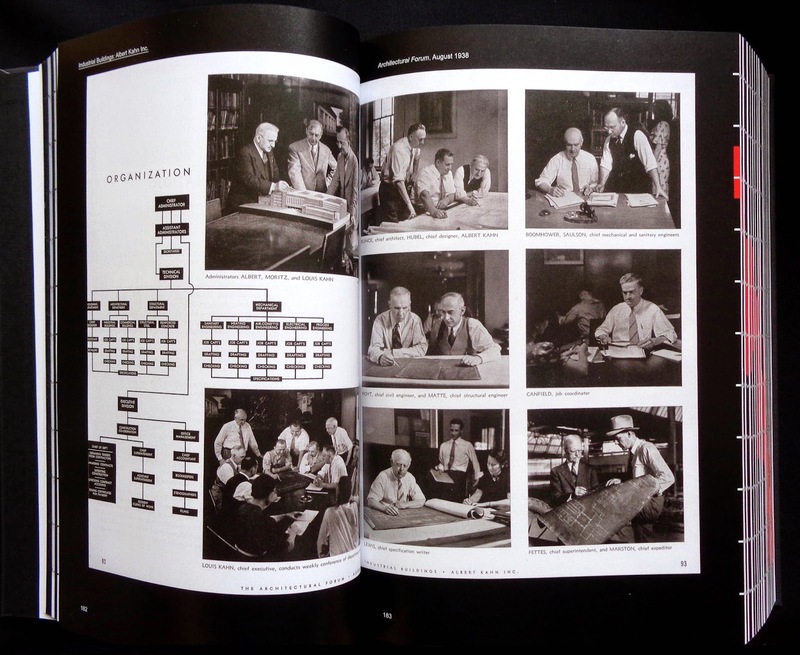 'Office-US Atlas' is a huge compendium of American architectural creativity. 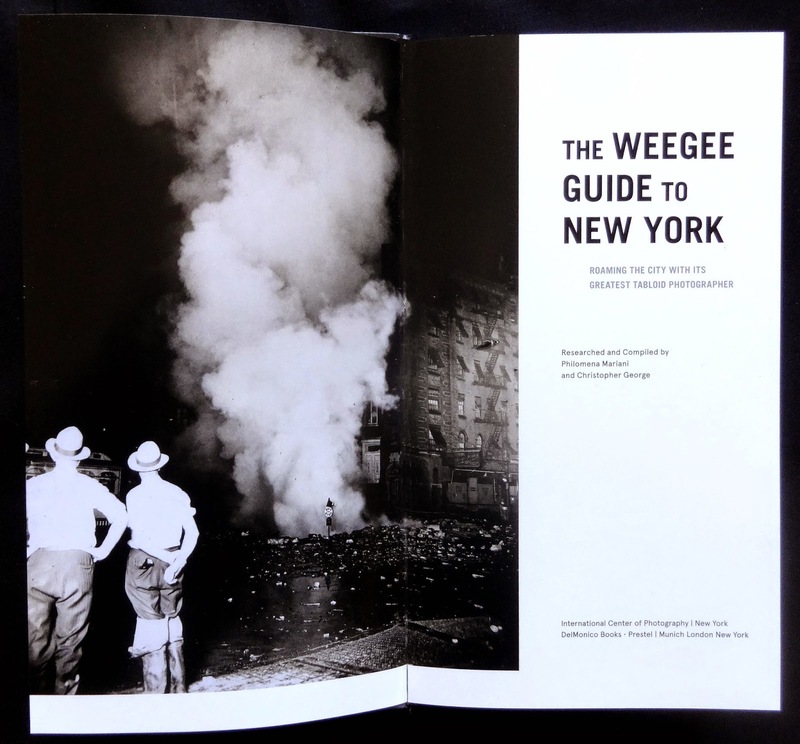 My slowly expanding Weegee collection. 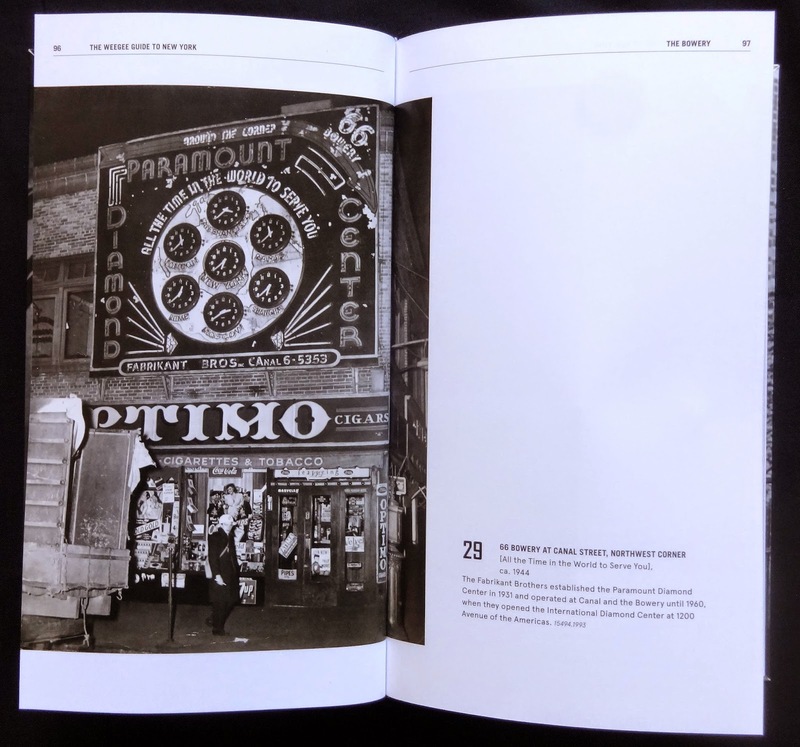 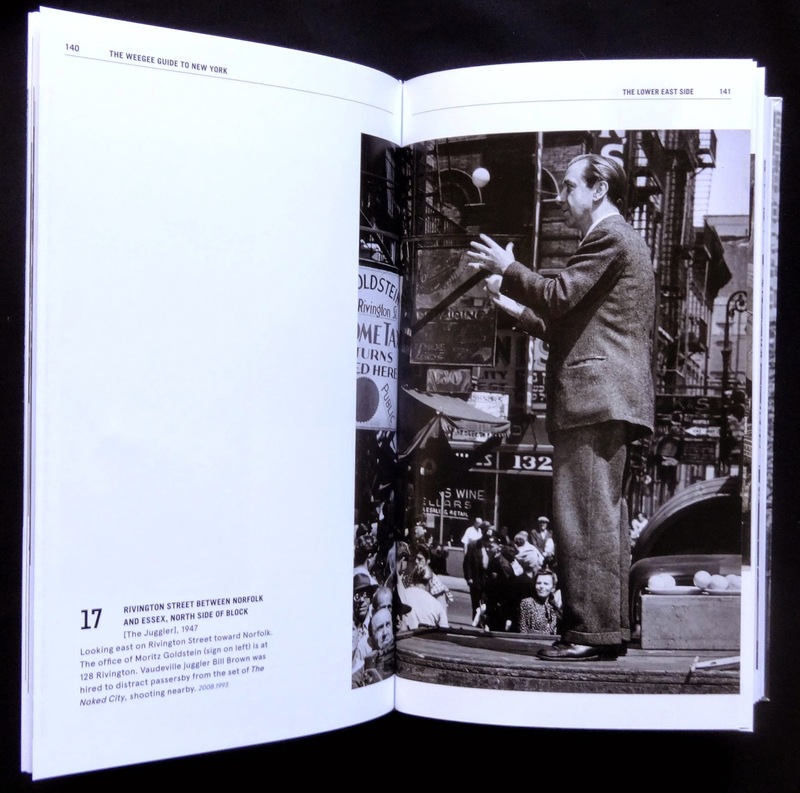 If you have a book or two of Weegee's work the photo captions usually just give the date and vague location, now, at last, with this intriguing book you can find exactly where he took 265 of his remarkable street scene photos in these pages. 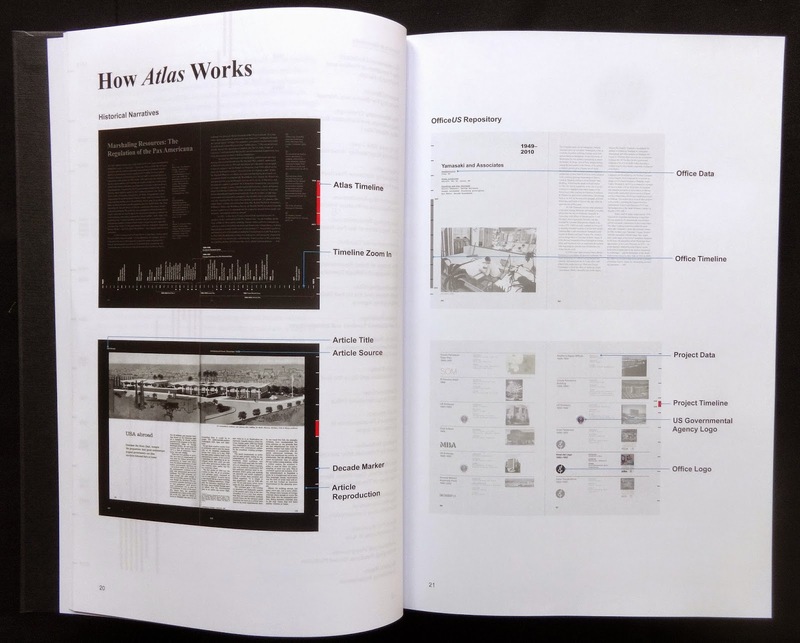 As the title suggests this is a guide book (loosely based on those popular tourist guide books like Dorling Kindersley 'Eyewitness' series or 'Everyman Guides') with its upright shape, fold-out maps and clean layouts and typography. 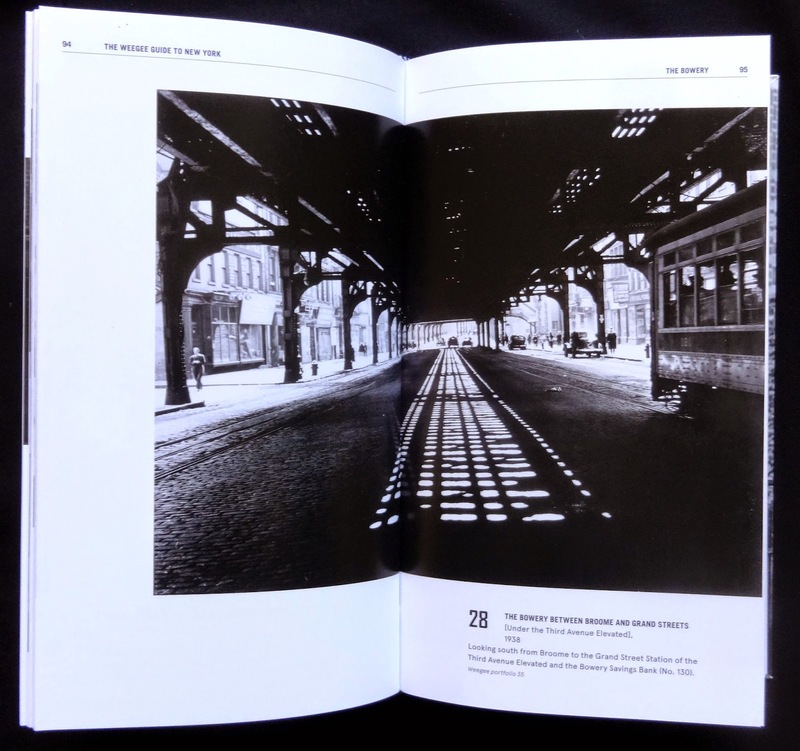 The book is divided into eleven chapters, basically Manhattan and one for Brooklyn plus Coney Island, remember those crowded beach scenes shots? 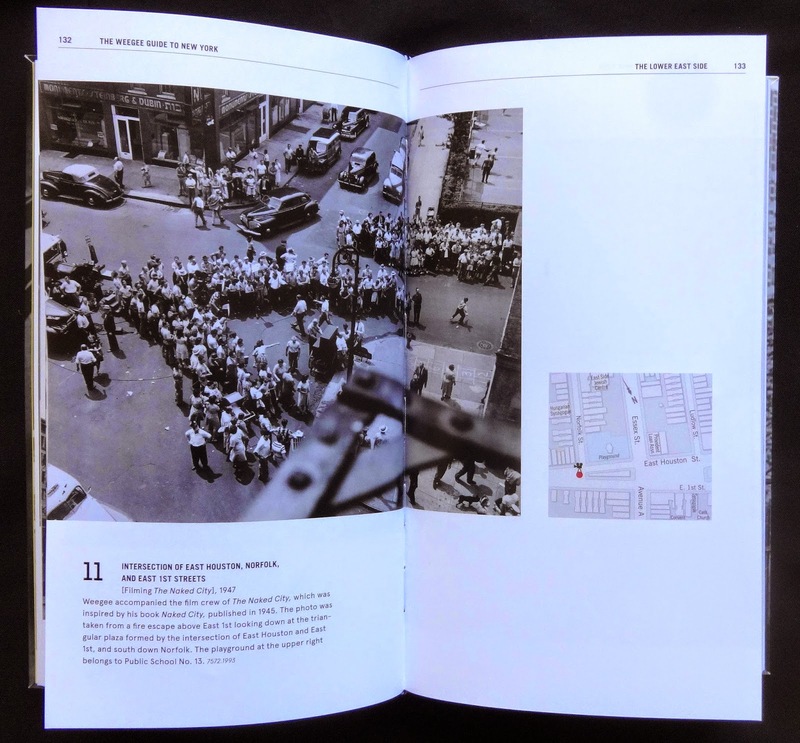 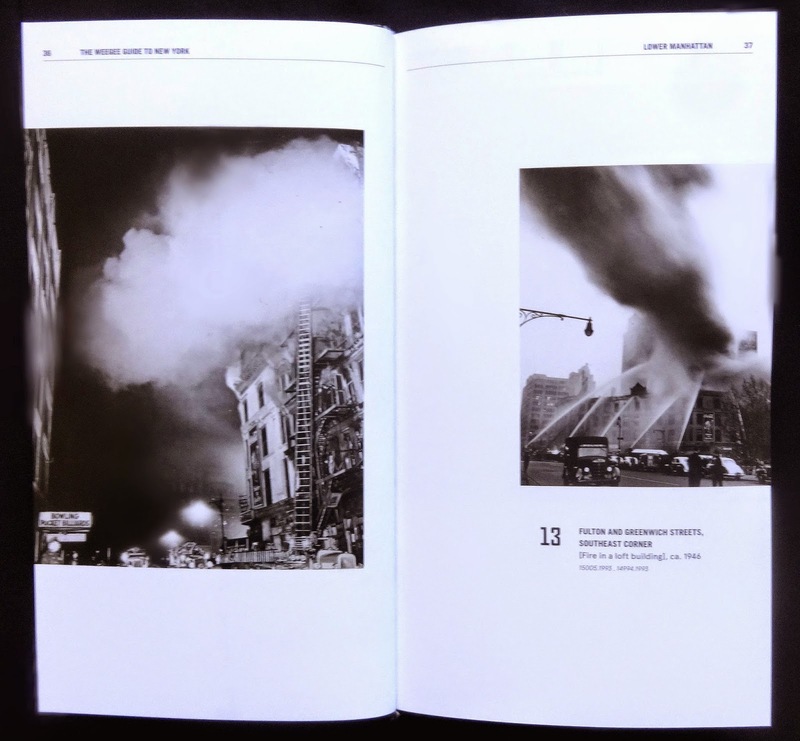 Each starts with a fold-out map (and these have been beautifully created by Adrian Kitzinger) and they show not only the street location but which direction Weegee was facing and a symbol reveals what was being photographed: fire; vehicle accident; police action; murder/suicide; aerial view; burst water main. 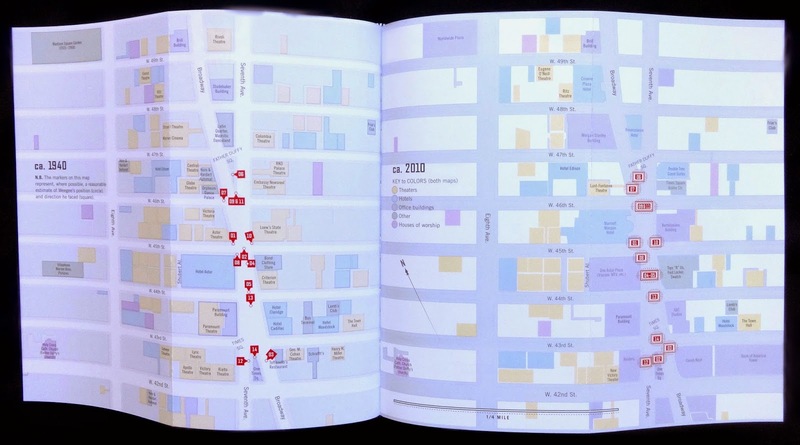 Not all the photos are what might be called news oriented, there are plenty of ordinary street scene shots but they are all located on the maps. 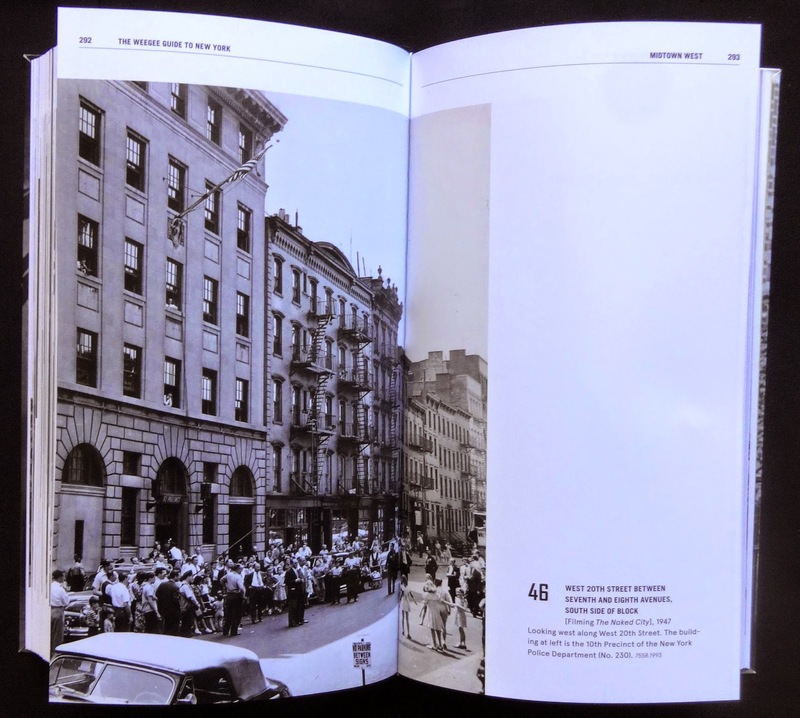 The photos are from the late Thirties to the start of the Sixties, all have captions and nicely some are quite detailed. 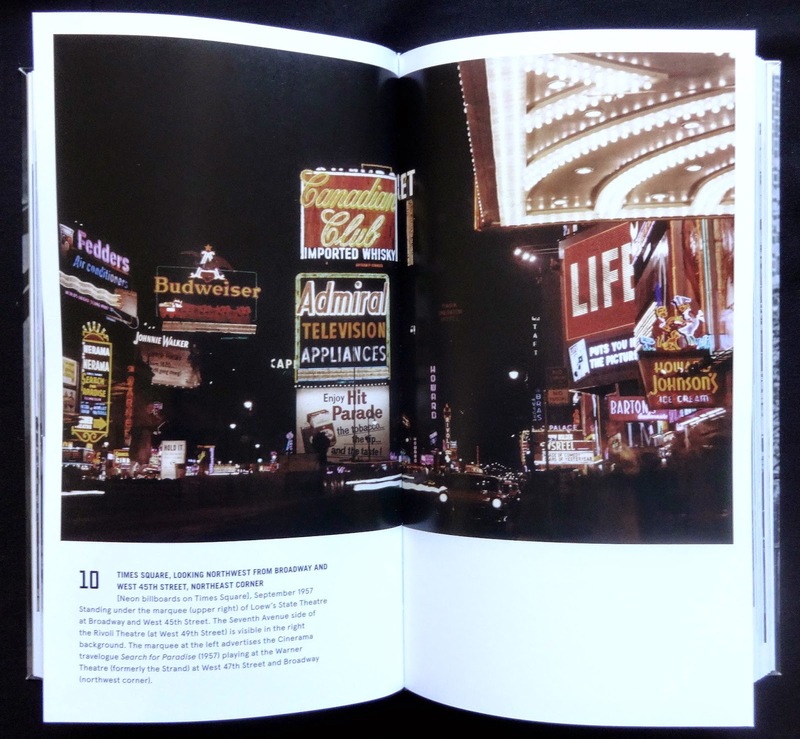 The only color shot is Times Square from September 1957, a Weegee rarity as newspapers only used his black and white photos. 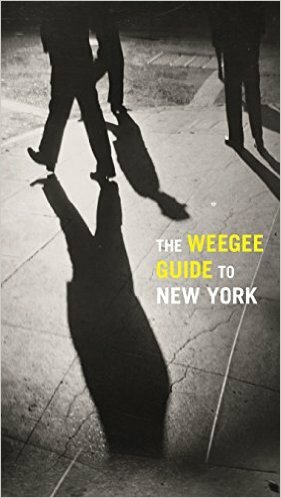 I found the book quite fascinating and though New York has changed over the decades I've used Street View to find some of these places and occasionally found a location that is more or less as Weegee saw it. 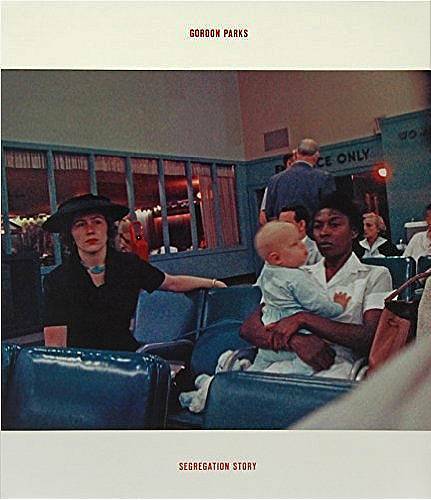 A wonderful selection of photos from Gordon Parks assignment to Shady Grove and Mobile, Alabama, in 1956. 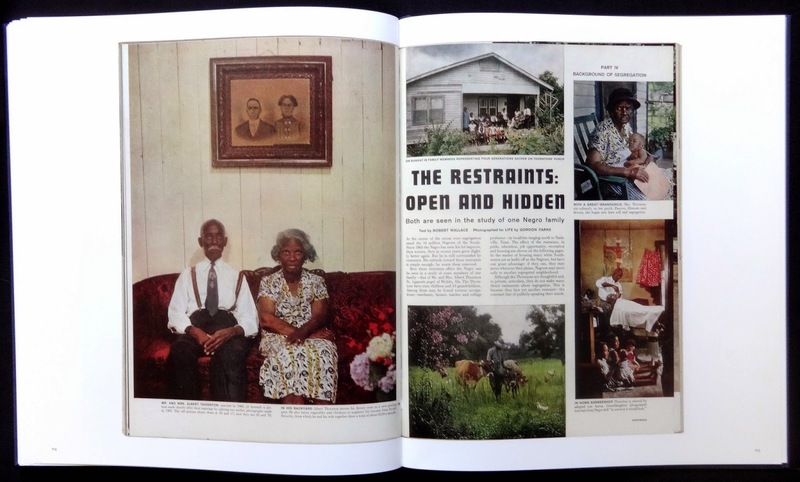 As a Life magazine staffer he was the ideal photographer to cover colored life in Jim Crow country and the magazine spread the photos over a very generous twelve pages, though oddly the feature wasn't mentioned on the cover. 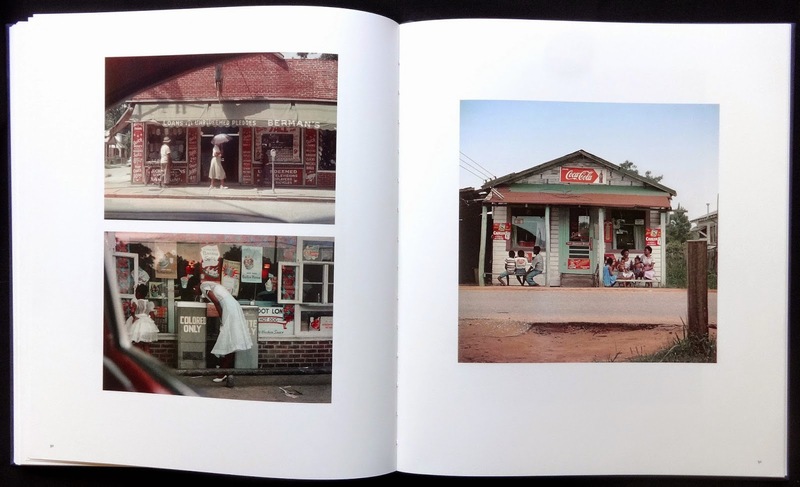 The sixty photos in the book clearly show how a significant minority of Americans lived in the southern states back then. 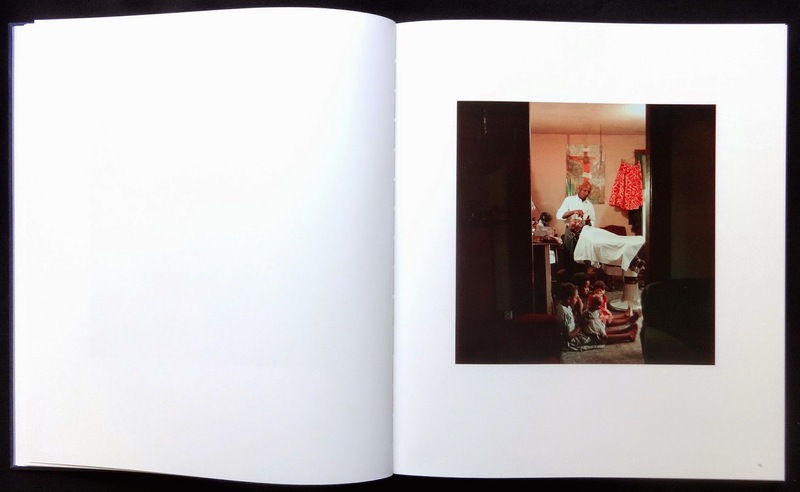 An aura of poverty comes across in so many of these images and Parks instinctive knack of framing the essential detail pulls you into the composition. 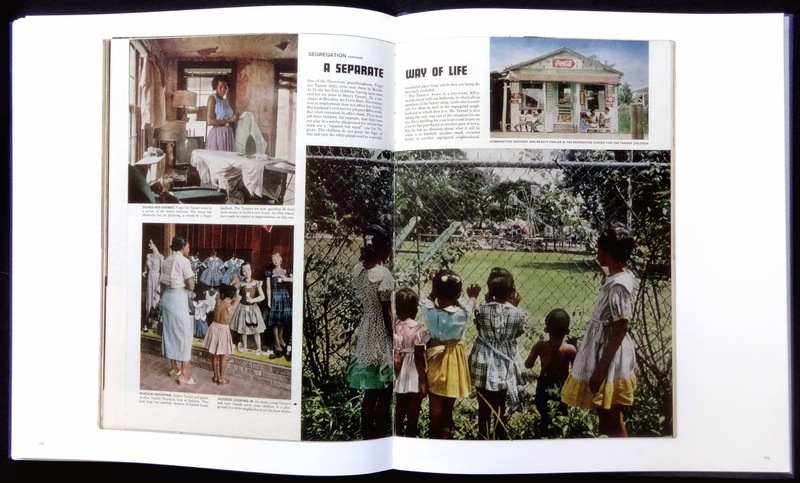 The shacks, school, a church service, funeral, work in the fields and kids playing are all here, showing the colored community separate but hopelessly unequal. 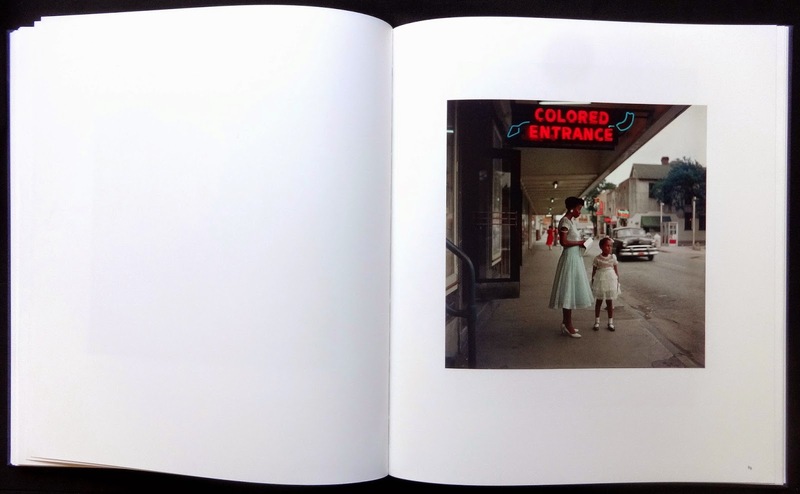 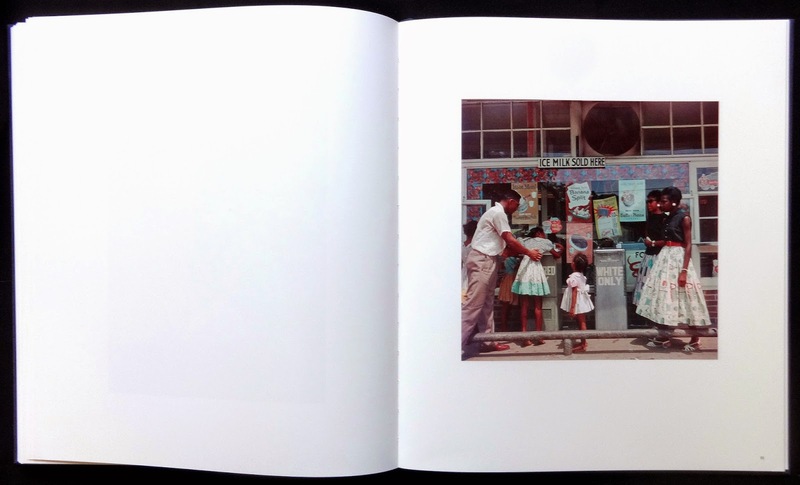 The full impact of these photos really comes across in the last few photos in the book because here segregation is spelt out in no uncertain terms with signs: 'Colored entrance' at a movie house; two drinking fountains with 'Colored only' on one of them; 'Colored waiting room' at a bus station (actually taken in Nashville) and the book's cover photo at Atlanta airport with a sign, partially obscured, that says 'Colored only'. 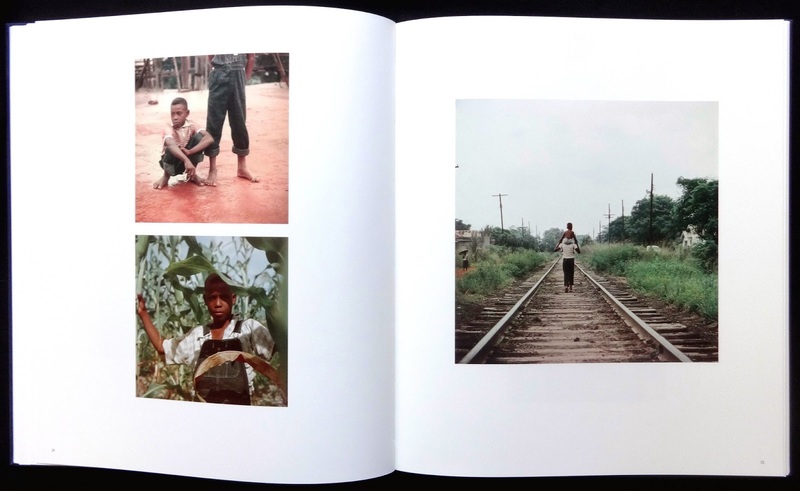 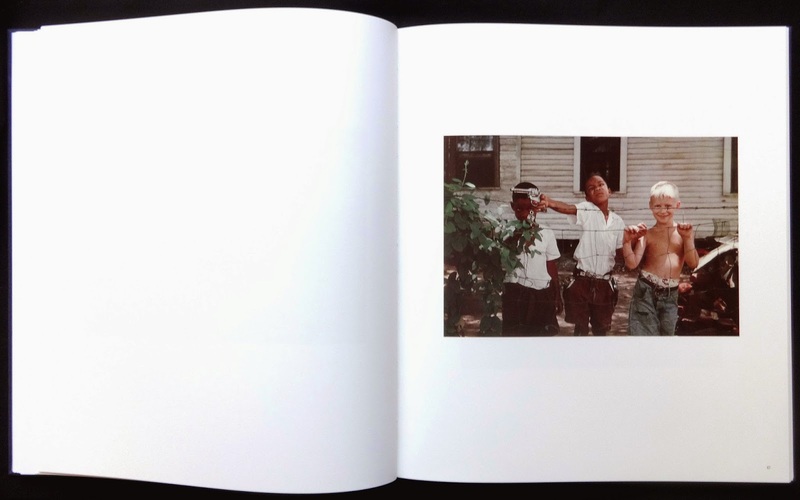 The final photo in the book shows six children looking through a wire fence at a playground (slides, swimming pool, et cetera) in a white neighborhood. 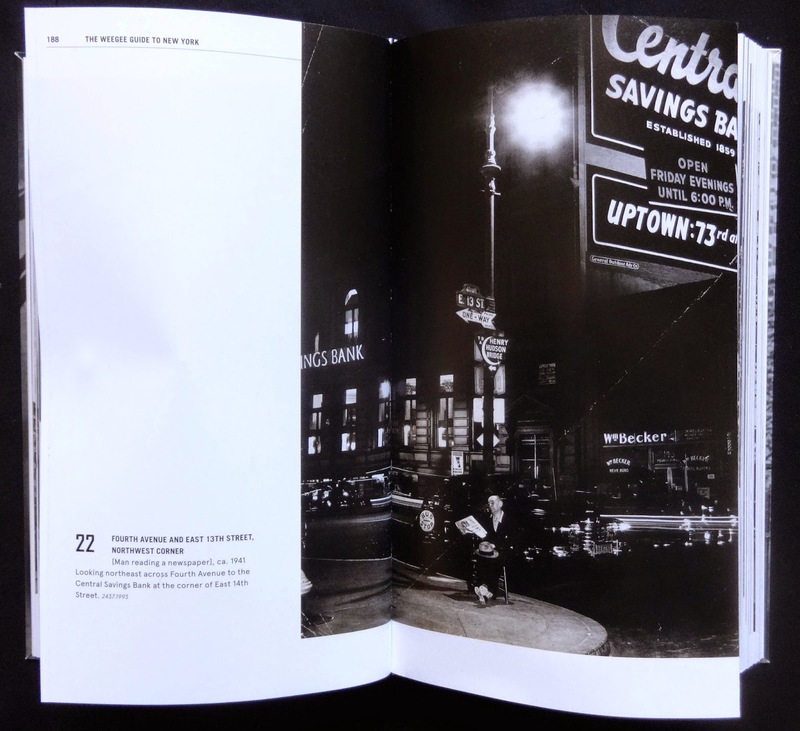 Steidl have nicely added an something extra at the back of the book: the twelve pages from the September 24, 1956 issue of Life that featured Parks segregation photo assignment. 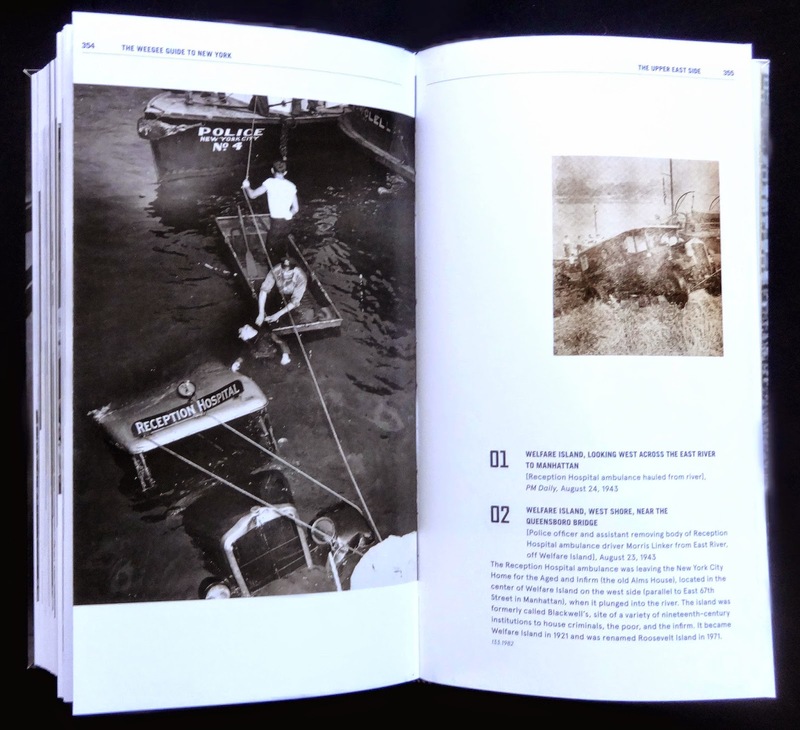 Reproduced smaller than Life size but the story by Robert Wallace and all the captions are quite readable. 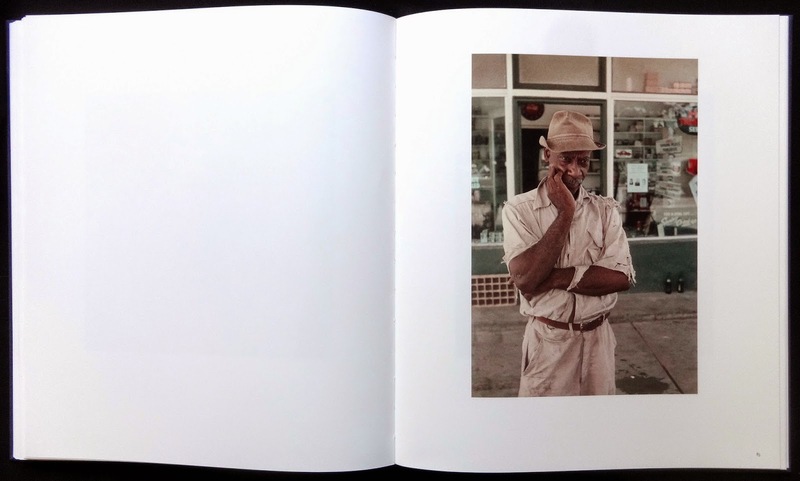 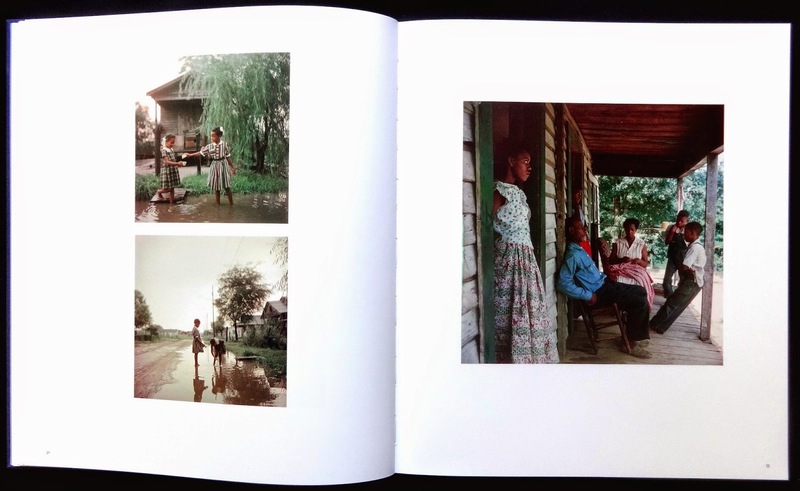 Incidentally, the Steidl five volume box set of Gordon Parks photo career has one of the books devoted to reproductions of several of his Life assignments.